So starts the poem penned by Urdu poetess Gulnar Afreen – the refrain of which has become ubiquitous thanks to its completion being denied to a young speaker very recently in a Ramazan transmission. Now while it makes perfect sense for the literarily crippled philistines of the country to know zilch about where the verse comes from, the fact that the farce was broadcasted on live television, specifically in the holy month of Ramazan, serves as something of an expergefactor. And while the masses in general and the country’s public speaking communities in particular were uncompromisingly vocal in their lambasting, much of the significance of the event went unsaid, unconsidered and untouched. 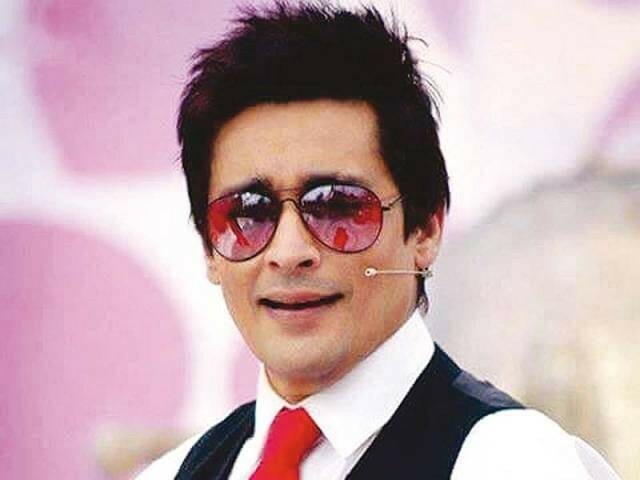 The shameless mansplaining buffoonery exhibited by Sahir Lodhi, was cooked and delivered (and some say it was scripted in addition), public outrage followed and the yarn was cut short with the issuance of an apology within two days (though the Pakistan Electronic Media Regulatory Authority (Pemra) Petition Party might have something to do with it). So far, the matchless deed was achieved, determined, dared and done. But the gardyloo doesn’t end there. A gardyloo, in medieval Scotland, was a warning call that was given before residents were about to empty their chamber pots out in the streets. The Ramazan transmission in question falls nothing short of a similar warning call – the only difference being that dregs have already been discharged and the shots have already been fired. 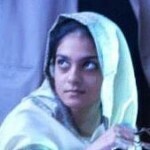 In the latest exhibition of exclusively Ramazan-centric television piety, the most benign of hosts were seen grubbling for connotations that never existed and debated about issues most irrelevant, and all the while the fledgling speaker (Saba) stood, pillar-like and pale, absorbing rebuke she had done nothing to deserve – well, except for making herself present in the televised trumpery. For that, we can hold her roundly responsible. The scapegoat and the audience were then subjected to a Pakistan Studies tirade – one that was as inaccurate as it gets: Jam-i-Jahan-Numa, Roznamha-e-Punjab, Tahazibul Akhlaq, and Dehli Urdu Akhbar are only a handful of newspapers that circulated in pre-Partition India in the 1800s and offered ample opportunities to Muslims. But of course, since none of these were in English, the history lesson didn’t include them. Well, at least somebody needs to sit for their Pakistan Studies exam again – and since it was an unwanted history lesson as much as it was an incorrect one, a penalty should be in line. As unconscionable and uncalled for the outburst might have been, the bigger issue was the shameless influx of ultracrepidarians who have taken over the orating circles, especially on TV, specifically in Ramazan transmissions. While a handful of channels have a proper adjudication panel that is comprised of actual debaters and veteran speakers, that this particular show should host a troupe of judges whose verdict was to suggest the speaker to alter her words, speaks volumes about their credibility as debate judges. Not only did none of them know that the verse came from an actual poem by an actual poetess (and hence the words did not belong to the girl at all), they didn’t betray a shard of understanding that is required of such eminent personalities. Nobody on set seemed to know the all-too-common utilisation of anecdotes and monologues in oration which merely showed how nobody on set had ever been remotely acquainted with a podium. That was until another clip from the show went viral on Facebook wherein the benevolent host, Lodhi, is seen (and heard!) proudly proclaiming how he had laid down the foundations for freestyle debates as we know them. The public speaking circuit that I know of is unanimously and royally gobsmacked – why, they never knew. We’ve been public speaking and orating for years – some of us for decades and the news still comes as a shock, but we’re willing to cut the carpetbagger some slack, since it takes little more than a frivolous viewing of the clip to glean the charlatan’s understanding of debating and all its decorum. The problem isn’t that humbugs ran the show and out of spite stymied both the audience and the speaker from following their guts, that they tried to coerce the public into being fleeced for a particular (and a completely irrelevant) rhetoric, the problem is that while the tattlers were busy making a mockery out of an aspiring speaker (and a guest at that), another Ramazan transmission on another TV channel was busying itself with just the opposite – while one host-turned-actor launched into an impassionate blockbuster rant (that seemed straight out of a Shah Rukh Khan movie) at a girl who was putting forth a valid case for gender discrimination on board, two sportsmen-turned-anchors asked a female guest on their show what she wanted. A bike, she said. And for whom did she want it? She was applauded and advised to wear a helmet. More of this, please, gentlemen. This is the history lesson our future generations need, not the one that claims Jinnah couldn’t afford socks. The problem isn’t that young speakers have taken to presenting themselves in shows which do not promise actual orating mentorship or guidance. The problem is that our rather unfortunate speaker was being derided by a man because she said something to the effect of women having their voices stifled in the country by men. Well, thank the cockalorum for proving her point then and there. The problem is that any respectable and self-styled founder of freestyle debates can do a number on unsuspecting guests who had been specifically asked to speak on a given topic and the problem is that such people can get away with it by apologising on TV and presenting themselves as the perfect picture of Ramazan piety. The problem is that any ‘sensitive’ individual can stifle and smother someone’s completely rational voice by bringing Quaid-e-Azam into the equation and by assuming the position of a history lecturer. A badly informed lecturer at that. The problem is that anyone looking for cheap publicity can play their ultra-nationalist cards over assumed slights and rant on while they miss the point like Karachiites miss the days they didn’t face a dozen electricity breakdowns a day. The problem is that people who are watched and followed by thousands cannot tolerate a different opinion; they’re not even ready to hear it, let alone understand it. The problem is that the animal rambling in the stable makes the jabbering ones rise too. The problem is that it can happen again and with the issuance of a televised apology, it would again be swept under the carpet as a nonissue. On a side note, many religious clerics stand united on the stance that people who cannot cope with fasting without morphing into an emotionally unstable drama queen had better not fast. Come, O Quaid, and take a look at your Pakistan where hooliganism on live TV is encouraged and expected to be lauded. But the problem is the aforesaid invocation might be mistaken for a challenge, and since nobody wants another Pakistan Studies lecture, I rest my case. Sahir Lodhi, Aamir Liaquat, Tariq Jameel etc are the ilk of people who are nothing more than actors pretending to be religious scholars/patriotic. Everything they do is for ratings. They would sell their own soul just to get another million views and more attention. Don’t put this down as a man vs woman issue. Saahir Lodhi is an obnoxious idiot, but this wasn’t directed at women. Ask yourself a simple question. Would Saahir have acted any differently if the debater was a man who uttered the same poem? Not really. Mr Shahrukh Khan-wannabe would have gone into a similar tirade about how dare the young man question Quide e Azam. If you watch the whole clip of the show, Shahrukh Lodhi did tell the whole audience (most of whom were men) to stop clapping and rebuked them as well. Does that mean men are not allowed to express themselves freely in this country?